Welcome to Author Spotlights on Mondays! Shawn Reilly is my guest this week, and she's sharing an excerpt from Call of the Raven, book one in The Union series, and giving away a signed copy, a bookmark, and a rubber bracelet to one lucky commenter! **Note: This series is a serial, with each book in the series a continuation of the previous book. 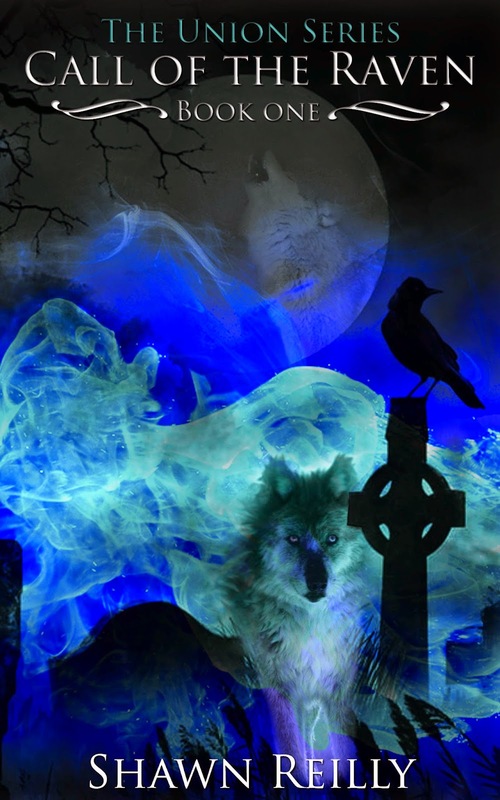 Call of the Raven is the beginning of an 8-book serial. Blurb: Love is something everyone longs for at the deepest level—but for some, love is a curse. This is most certainly true for Asher Lake, the Keeper of an unknown group of people called ani-shifts. Ani-shifts, those with the ability to shift into animal forms, compose a secretive body of individuals known simply as the Union. A wolf in shifter form, Asher lives with a curse placed upon him and his predecessors by the elusive Raven—a dark entity whose identity remains a mystery. According to the ancient archives, the Raven’s curse is conditional and set in motion by one fatal decision: if a Keeper ever allows himself to fall in love, he will die. Grant Lake dropped his legs over the side of the bed and rubbed at his tired eyes. He hadn’t slept much for days, not since the rain had begun. For a few moments he sat there in a listless stupor, staring at the waning moon hovering above the large maple, before staggering to the window to have a better look outside. He didn’t see any sign of the dark bird from his dreams but he knew it was there. He sensed it in his bones. Throughout history ravens had been considered a bad omen. To him it meant so much more. As rain streaked down the windowpane, great sadness washed over him. He was born a wolf, a leader to the world of animal shifters known as the Union, as well as protector to the protégé heirs left in his care. To his kind he was known as a Keeper, and dying young was his destiny. Leaving the window behind Grant went to the dresser and removed a chain from his neck. He ran his thumb across the silver medallion that bore the emblem of a wolf, and then draped it on top of an antique box shaped like a treasure chest. Closing the door behind him, he walked down the hall to little Keni’s room and stood just outside the door. Reaching into the pocket of his jeans he removed a necklace with intentions of just leaving it on her nightstand, when he heard soft whimpering coming from inside. Unable to turn and walk away he pushed open the door and the moment she saw him her face lit up. The eight-year-old was sitting up in bed and his heart went out to her. Switching on the light he glanced around the messy room. Toys and dirty clothes were scattered everywhere. Grant let out a sigh. If only he could have found a suitable nanny to look after the children, he wouldn’t feel so bad about leaving them behind. There was Bonnie, but she was an overworked, unappreciated maid. The children needed someone to look after them on a full time basis. What they needed was a mother. Grant had hoped to give them one, but there was no point dwelling on the ‘could have’s’ now. He looked at the bare windows, then to the box of blinds in the corner that he planned to install a year ago. There had been so much that he planned to do…wanted to do. “What was it this time Keni?” Grant sat down on the edge of the bed. Keni’s green eyes were round with fear and on her right cheek he saw the traces of tears. “Wow, that’s one big bird.” Trying desperately to hide his fears, Grant forced a smile upon his lips. “What kind of a bird was it? Was he big, with big orange feet and a big orange beak the color of this hair here?” Playfully he tugged at her pigtail. Even with his teasing the little girl’s lip puckered, and she started to cry. Thunder boomed and the little girl let out a terrified squeal that startled Grant. He tried to laugh it off but all humor was lost when lightning lit up the room and revealed all too clearly a shadow shaped like a bird on the bedroom wall. Trying not to draw attention to that fact, Grant pulled little Keni onto his lap. If he had doubted the Raven’s call before, he didn’t now. “Hush now,” Grant held her tighter in his arms hoping she could feel his strength, hoping she could find some comfort in that. “There’s nothing to be afraid of not while I’m your Keeper, and it’s not you the bird wants.” Dread washed over him as he carried the tiny girl across the hall, and her tears soaked the shoulder of his shirt. “But I don’t want him to want you either.” She whimpered. With those simple words Grant’s heart felt as though it would shatter into a million different pieces. Anger welled up inside of him. Life shouldn’t be like this. Why should he have to die and those he love suffer because of his unwillingness to accept the call. He refused to believe that his future—the future generation of Keepers was predestined to suffer, on account of an ancient curse put into motion long before he ever existed. There just had to be a way. For the first time in his life Grant was happy. For the first time in his life he was in love. It wasn’t fair that such a beautiful thing could result in his demise. Grant’s only hope was to change that. He’d just gotten the twins used to sleeping in their big bed, but at two years old and rather small for their age, they were nothing more than two tiny lumps burrowed under the covers. He figured since they were rats in their shifter form it was instinctual. Grant laid Keni next to them, and sleepily she peered up at him. “You’ll be safe here Keni. Look after the twins for me, help the boys and try not to be afraid.” He dangled the necklace from his fingertips and her small hand reached for the chain. “This necklace will let you know when I’m near.” Bending over Grant kissed the top of her head and then opened the nightstand drawer. He removed the books he prepared for the twins and placed them on top, so that they would eventually find them. In turn, he gave them both a kiss as he had Kennedy, and left the room. He had one last stop to make and that was the boys’ room. Turning the door handle he stepped inside the darkened room. The quiet was evidence that Ari was still awake. Any other time his snores could be heard throughout the entire manor. The room was shared by three boys. Two were in bunk beds and the third lay quiet and still on a single bed by the window, but it was fifteen-year-old Ari lying on the bottom bunk that he went to first. Grant glanced across the room at Asher whom he knew was listening. Lately being nice to him was an extra hard task. He had become so distant and mean at times, especially to his brother Ari. “Oh, all right.” Ari gently pulled the younger boy by the arm toward him, and just when he was about to lift him into his arms, Nixon’s eyes and mouth flew open instinctively. Without thinking, Grant grabbed hold of his head before he could sink his teeth into Ari’s shoulder. “I’m not a bird you ugly wet-smelling dog!” Nixon shouted. “I don’t need any ref-phuge!” Nixon exclaimed angrily. He pushed Grant’s hand away but the tears that threatened to form told a different story. Grant knew the boy wanted to trust him but earning his confidence would take time and time was something Grant didn’t have. “Why am I going with the dog and not him?” Nixon pointed toward Asher. “Then tell him to keep his hands off me!” Nixon demanded jumping down from the bed. Even in that he was rebellious. Once they were gone Grant crossed over to the bed and looked down at the remaining boy. His hair, long and black as coal, lay against a crisp white pillowcase. His eyes were opened staring blankly out the window at the waning moon. Grant knew how he felt. Since he too was a wolf, Asher also was affected by the moon’s weakened state. Turning his head, Asher looked up at Grant. Even in the dark the boy’s strange eyes reflected light, but as usual there was no warmth to be found within their depths. Asher had stopped smiling. Asher had stopped laughing. Lately it was always the same blank unreadable face and the same harsh words. “You can’t stop it. You will die,” Asher flatly said. “Yes, but at least I won’t die young,” Asher sighed. “Yes, I will take your place because the Council has seen to that and will continue to do so upon your demise. However, unlike you, I have come up with a plan to guard myself against the Raven’s call.” Asher turned away as Grant sat down beside him on the bed. The boy made no indication that he planned to give him more room or that he wanted him to stay. “And what plan is that?” Grant picked up the book lying next to Asher’s hand. The book befittingly was by Edgar Allan Poe. This time Grant did nothing to prevent the fury spurned by Asher’s words. He allowed it to show in his eyes, his face. He had never told anyone the truth about his father and for Asher to know meant he had gone prying into the archives. Grant’s anger was quickly replaced by an overwhelming and alarming sadness. Just as he started to speak his eyes landed on the book that Asher clutched in his hand and with the slightest turn of his head, he noticed several other books just like it stacked on the nightstand. The titles Grant knew all too well since he had read them himself. Fact or mythical, the books were all about the Raven. He had spent a great majority of his life searching for an answer just like Asher. Even among the archives Asher was searching past historical events for solutions. If he wanted answers, than he couldn’t be beyond help—beyond hope. Neither of them was. Grant had to believe that. “I discovered a spell in an old book,” Grant said. For the first time during their conversation Asher’s attention was fully his. Even in the dim room the strange color, the almost fluorescent blue of Asher’s eyes intimidated Grant with their intensity. Lowering his gaze, Grant refused to let Asher see his doubts. Mellanie: What inspired you to write your first book? Shawn: First it was my stepfather and a need to teach myself to read due to my dyslexia and then later in life I was struggling with some depression after developing Lupus and fibromyalgia so I started up again. I had never stopped writing over the years but I thought of it as a hobby and therapy only. But when I stumbled across an article about Indie publishing I decided to give it a try. After that I felt the need to prove to others that dreams do and can come true. Mellanie: Do you see writing as a career? Shawn: I do. Whether or not that will be a successful career remains to be seen but at this point in my life I don’t see myself doing anything else. I love to write and it’s become a part of who I am. Mellanie: This book is the first (second, third, etc.) in a series (omit this statement if not applicable). Do you prefer to write single title or series? Why? Shawn: I prefer to write series books. I love to introduce characters and situations and then carry on with them in more than one book. To me it seems more real. Mellanie: Give us some insight into your main character. What makes him/her special? Shawn: Asher Lake comes across as harsh, unfeeling, and brooding—sworn off love the way he is but on the contrary it’s because he wants what he cannot have that he behave in such a way. But then again I believe I would act the same if I knew love would be the death of me. Mellanie: Is there a message in your novel you hope to convey to your readers? Shawn: In all my books there is a message or an example to be found and stands to a readers interpretation but if I were to choose one I’d say it’s to not be afraid to love. Mellanie: I love a good conflict. What draws your main characters to each other and keeps them apart? Shawn: Good old physical attraction, the need for one another in difficult situations, and what keeps them apart would be the fear of the curse that hangs over Asher’s life. Mellanie: How did you come up with the title? Shawn: Actually my daughter came up with the title. I told her the basic plot and she came up with it, so it stuck. Mellanie: What’s your favorite sub-genre (contemporary, sci-fi, etc.) to write? To read? Shawn: I write in several genres but my favorite to write in is paranormal romance and science fiction. Mellanie: I usually get plot ideas in the shower and while driving. When/where does inspiration strike you? Shawn: Inspiration strikes me anywhere. I was walking with my daughter one Halloween night and she was looking over a neighbor’s house, where the owners were dressed up like witches and asked what if monsters really did exists and we had to live with them so the next day I started writing a book using that premise. Mellanie: What new stories are you working on? Shawn: Right now I’m working on the seventh book in the Union Series titled Rise of the Raven which is due out spring of 2015 and the sequel to a YA that is already out. Bio: Shawn Reilly lives in Mt. Comfort Indiana with her husband, three daughters, and far too many pets. 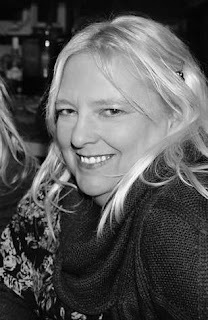 She is the author of the Union Series: Call of the Raven, Legend of the Raven, Pursuit of the Raven, Sacrifice of the Raven, Curse of the Raven, Allegiance of the Raven, and a YA Paranormal Romance titled Bug. She is currently working on the seventh book in the series, Rise of the Raven, due to be released spring of 2015, and the sequel to Bug. Thanks for visiting, Shawn! And thank you, readers, for stopping by! Remember to comment by midnight (EST) on Wednesday, January 14, for a chance to win a signed copy of Call of the Raven, a bookmark, and a rubber bracelet! Shawn Rielly is an amazing author... She create stories that you would love to live in... 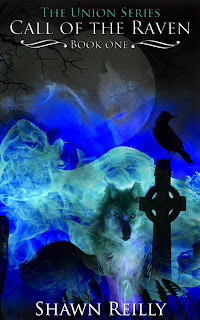 If your looking for a new author to read then Shawn Reilly is for you..